Description: Aerial. 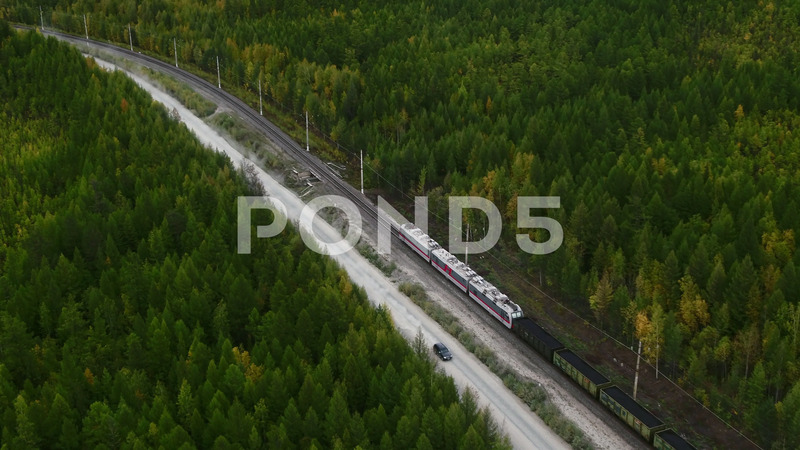 The camera is flying over a freight train going through the green forest. The cars of the train are loaded with coal. The train is approaching the hills. It's a beautiful landscape.